The days are getting longer and we’re working our way toward summer, and that means we’re getting close to our annual golf tournament. Consider celebrating the longest day of the year with Midnight Sun Home Care. Have some fun while benefiting a great cause! The 5th Annual Swing Into Solstice Midnight Sun Charity Golf Classic will take place at Settlers Bay Golf Course in Wasilla. The tournament runs from 7 p.m. Saturday June 23 to 1:30 a.m. Sunday June 24. Registration begins at 5p.m. I established this golf tournament as a fun way to benefit local Alaska charities. This year, we chose the Hospice of Anchorage as our charity of choice. Money raised will help the Hospice of Anchorage with their mission of helping individuals and families prepare for and live with serious life-limiting illness, dying and the grief that follows. We appreciate the difficult work of the team at Hospice of Anchorage, and know they have served many of our clients and their families during difficult times. Please join us in helping. Spots are filling up fast this year! You can register as a team of four golfers or as an individual. We also have several sponsorship spots stillavailable. You can register for the event at, www.swingtntosolstice.org. For more information about playing or sponsoring contact us at info@swingintosolstice.org or call (907) 677-7890. We are excited to have a great event and encourage Alaskans to spend an evening doing something they love and help a great organization at the same time! Alcohol – it can be used responsibility but it can also become a major health problem if abused. April is Alcohol Awareness Month and it was established in 1987 to help reduce the stigma often associated with alcoholism. Alcoholism is a chronic, progressive disease, genetically predisposed and fatal if untreated. Millions of Americans suffer from alcoholism but because the line between moderate alcohol use and alcoholism can appear blurry, it can be difficult for some to distinguish between the two. Alcohol abuse among the elderly can be particularly dangerous. According to the National Institute of Alcohol Abuse and Alcoholism (NIAAA), a survey found 40 percent of adults 65 years and older drink alcohol. Elderly people can be particularly at risk for mixing medications with alcohol, with can be extremely dangerous if not deadly. Many prescription and over-the-counter medications that mix badly with alcohol include aspirin, acetaminophen, cold and allergy medicine, sleeping pills, pain medication and others. According to NIAAA, adults over age 65 and healthy, who do not take any medications should not drink more than three drinks a day and seven in a week. Alzheimer’s is the most common form of dementia. Recently the Alzheimer’s Association released its annual report detailing the state of Alzheimer’s in America. The report shows 5.7 million Americans suffer from Alzheimer’s and its costing Americans $277 billion a year! But that figure isn’t the true cost. Alzheimer’s is financially and emotionally draining. The health needs of someone with Alzheimer’s tops $300,000 a year, according to the Association. And unfortunately families pay 70 percent of this cost out of pocket. The Association reports caring for someone with dementia takes up nearly 20 hours per week, forcing many people to choose between attending work and caring for a loved one. The Association also reports caregivers not only lose out on money, but they are at higher risk for heart disease and depression. Hiring an in-home caregiver for a loved one with dementia is often the best choice for families. An in-home caregiver takes the stress away from family members, while also providing the best care possible for the loved one. Midnight Sun Home Care has a unique understanding of the physical and emotional demands that come with caring for someone with dementia. We are dedicated to helping clients and their families maintain strong relationships while working through these difficult transitions. Plus, in-home care is often more cost-effective for families than family members taking time away from work. For an assessment, if you have questions or just need to talk to someone contact Midnight Sun Home Care today. Millions of Americans live with heart conditions that can turn deadly, but the American Heart Association (AHA) is committed to funding research, awareness and care. Every year, Alaskans take a Saturday in April to help to raise money for the AHA, while also practicing heart healthy habits. 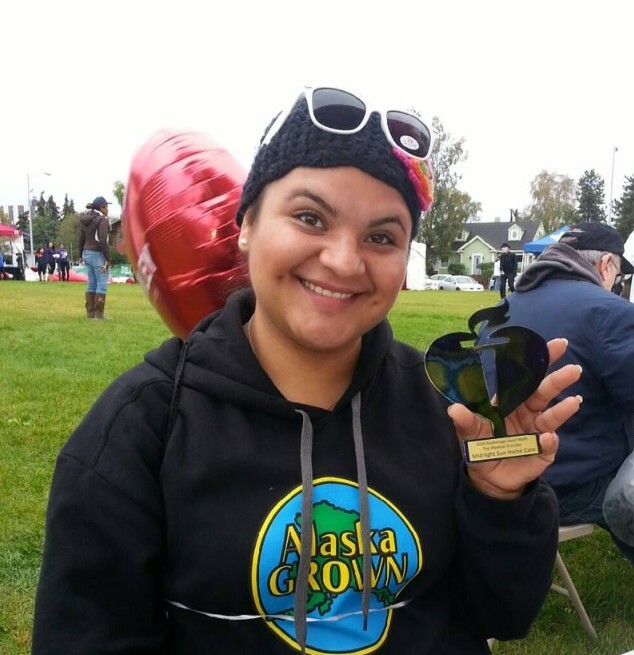 On April 21, joins Alaskans in the Alaska Heart Run. This is the 40th anniversary of the Alaska Heart Run. All money from the event will go toward the AHA’s efforts to fund research and community programs that help to fight cardiovascular diseases and stroke. But participants also get something in return. Walking is one way to stay heart healthy. Walking and running have many important benefits for your heart including lowering your cholesterol and blood pressure, and decreasing your risk of diabetes. By participating in important events like this, we are supporting our community and it’s members. At Midnight Sun Home Care, we practice a giver’s gain attitude. We believe that supporting other local organizations benefits everyone in our community. Our friends over at Peak Health Dentistry do the same. Dr. Ben Mishler is a big supporter of the Alaska Heart Run. He has also been actively involved in the Alaska Heart Run for many years and we’re proud to see other local businesses throwing their support behind important nonprofits in our community. Thank you Dr. Mishler and Peak Health Dentistry for supporting Alaskans. To learn more or participate in the Alaska Heart Run click here.